Draft: 1998, Oakland Athletics, 2nd rd. 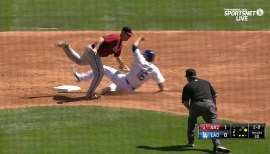 April 2, 2017 C Gerald Laird retired. July 12, 2016 Toros de Tijuana placed C Gerald Laird on the reserve list. July 5, 2016 C Gerald Laird assigned to Toros de Tijuana. 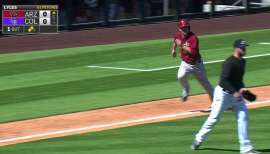 August 24, 2015 Arizona Diamondbacks released C Gerald Laird. 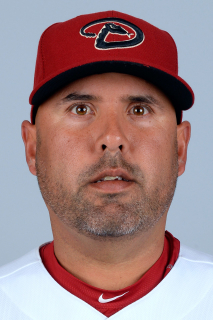 August 20, 2015 Arizona Diamondbacks designated C Gerald Laird for assignment. 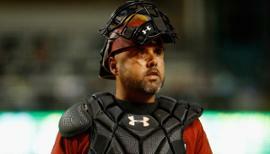 August 20, 2015 Arizona Diamondbacks activated C Gerald Laird from the 60-day disabled list. August 11, 2015 Arizona Diamondbacks sent C Gerald Laird on a rehab assignment to Reno Aces. 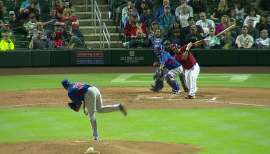 August 2, 2015 Arizona Diamondbacks sent C Gerald Laird on a rehab assignment to AZL D-backs. April 21, 2015 Arizona Diamondbacks transferred C Gerald Laird from the 15-day disabled list to the 60-day disabled list. April 12, 2015 Arizona Diamondbacks placed C Gerald Laird on the 15-day disabled list retroactive to April 9, 2015. Lower back spasms. April 5, 2015 Arizona Diamondbacks selected the contract of C Gerald Laird from Reno Aces. February 8, 2015 C Gerald Laird assigned to Reno Aces. February 2, 2015 Arizona Diamondbacks signed free agent C Gerald Laird to a minor league contract and invited him to spring training. October 30, 2014 C Gerald Laird elected free agency. August 11, 2013 Atlanta Braves activated C Gerald Laird from the 15-day disabled list. August 9, 2013 Atlanta Braves sent C Gerald Laird on a rehab assignment to Gwinnett Braves. August 3, 2013 Atlanta Braves placed C Gerald Laird on the 15-day disabled list retroactive to July 26, 2013. Kidney stone. November 16, 2012 Atlanta Braves signed free agent C Gerald Laird. November 3, 2012 C Gerald Laird elected free agency. November 18, 2011 Detroit Tigers signed free agent C Gerald Laird. October 30, 2011 C Gerald Laird elected free agency. July 7, 2011 St. Louis Cardinals activated C Gerald Laird from the 15-day disabled list. July 5, 2011 sent C Gerald Laird on a rehab assignment to Memphis Redbirds. December 14, 2010 St. Louis Cardinals signed free agent C Gerald Laird. November 7, 2010 C Gerald Laird elected free agency.